Do you have people in leadership roles who are good at managing resources but don’t really know how to lead people? 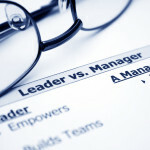 If your managers are not really leaders, you’re likely experiencing low productivity, decreased employee retention, dissatisfied customers, and maybe even grievances, compliance issues and labor disputes. That’s where Leaders Ought to Know® comes in. We have the leadership expertise and variety of training methods you need to develop managers into real leaders! Leaders Ought to Know® is a convenient, comprehensive, engaging training solution designed to build your team’s leadership bench strength, performance and productivity! Check out our online training options now. Named a “Top 5 Leadership Speaker,” Phillip Van Hooser offers business leadership keynotes and customized employee training to corporations struggling with leadership, motivation, communication and team building issues. See the range of keynote and training options offered here. Our self-learning resources give you or your team the leadership tools to succeed! With a variety of resources available — books, videos — online courses — you’ll get expert insights in a convenient, user-friendly format. Check out our self-learning options now. Develop your managers into true leaders—contact Leaders Ought to Know directly at (270) 365-1536 to find out more about our leadership training solutions!